PART NO. NOR21418 Charger Long Life, Charger Snagging Wheel Type 01 Straight, 30 x 2 x 12", 14 Grit, Zirconia Alumina. 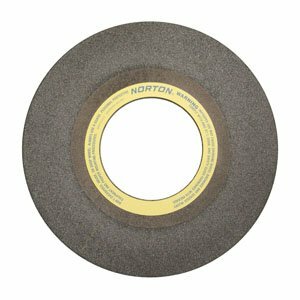 For fast, consistent, quality metal removal jobs in foundries, welding shops, fabrication facilities, steel mills, and shipyards, Norton snagging wheels maximize your productivity. Portable straight snagging wheels are used on portable horizontal/straight shaft grinders and cup wheels are used on right angle/vertical shaft cup grinders. Large diameter (24+ inch) snagging wheels are used on swingframe and floorstand machines.